Having a baby in a different culture could be challenging and surprising, and so as being married to a foreigner. You never know how deeply ingrained your culture is until you live in a different country or marry a foreigner. But then all would end up so well when both of you are willing to adapt. I didn'T have a hard time adjusting since I've been going/living here for quite a long time. When we got pregnant to our little bundle of Joy, surprisingly I discovered that there are still more customs and traditions that are so new to me. One of these customs is gift-giving which seems to be important to Japanese. The gift giving is a major custom and sort of a social duty or obligation with gifts being given on special occasions. The emphasis is not on the gift itself but on the art of gift giving, so nothing to worry about expensive or inexpensive gifts. 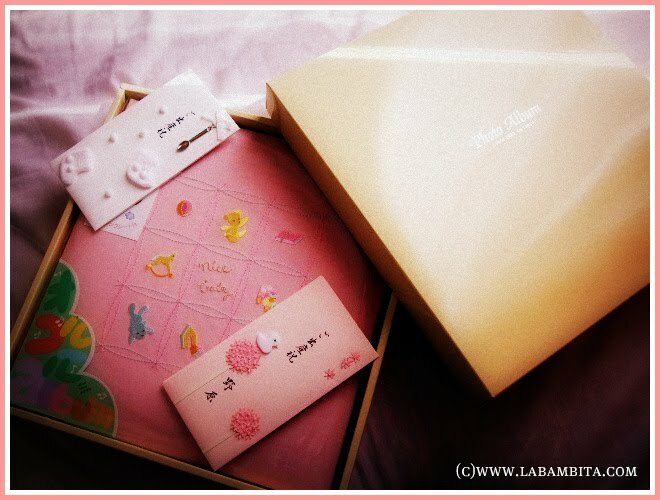 When Azumi was born, we received gifts from Hubby's relatives and friends, my mom's inlaws, neighbors, and some friends. Most were given in the form of cash enclosed in a special envelope called Oiwai Bukkuro ( お祝い ). 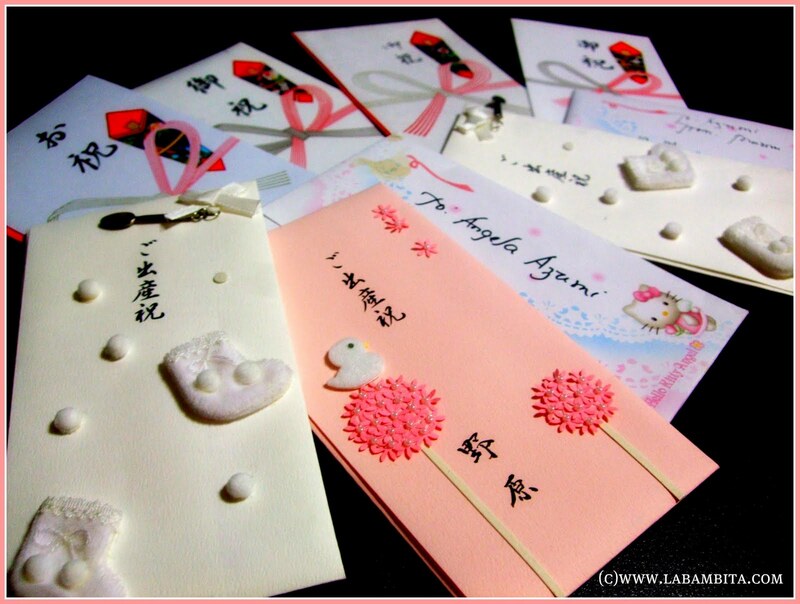 Special envelopes called Oiwai Bukkuro .. Oiwai (iwai) literally means to celebrate or to congratulate. Go-Shussan Iwai is the gifts for healthy newborns. The gift is usually given a week after the babies birth and is usually things like clothing, toys, memorabilias, and/or cash. The cash we received is quite surprising for me. If only I could give birth every year I will.. --lol just kidding. First of all, thank you very much for the birthday greetings above, love it.. so pretty! Thank you Tita gorgeous! What I love about Japanese and Korean stuff is the fact that their traditions are really different and most of the stuff that they do are always pretty decorated di ba. Am sure so madaming gifts nakuha ang pretty gorgeous na Anzy hehehe... Lapit na bday nya, wohoooo. How is her schooling pretty mama? Sensya ka na at madalang ako makabloghop this month, nagconcentrate muna ako in teaching Rye in preparation to her kindergarten school. Oh I fogot to mention, love your singing and Anzy's interpretation to the song hehehe. di talaga mawawala ang mga tradition sa bawat bansa. pero ganda ng kanila ha,mukhang ang lalaki ng pakimkim. Happy Birthday to Rylie. May she have many more blessed and abundant birthdays to come. 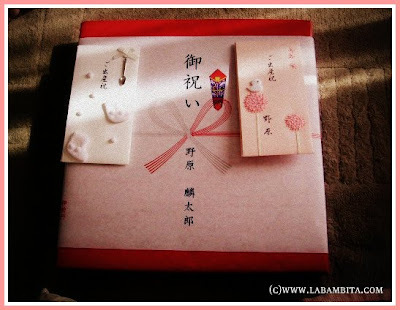 The tradition of Japanese people to give gifts on several occasions is a wonderful tradition that speaks of so much meaning and significance to the recipient and to the giver as well. They represent the hope and prayer for the good intentions for the gifts. Thanks for the post. God bless you all always. The traditions in japan and Korea are similar isn't it. I love those decorative envelops, very personalized. Thank you for the greetings to my daughter's birthday. Your daughter is growing up so fast too. Enjoy every moment of it. My Nostalgia entry is late, but I am hoping that you can still visit, thank you. kumusta na..salamat at naintindihan ko ano ang Go-Shussan Iwai..
Dami pala talagang mga custom and tradition na sinusunod ang japan ano. 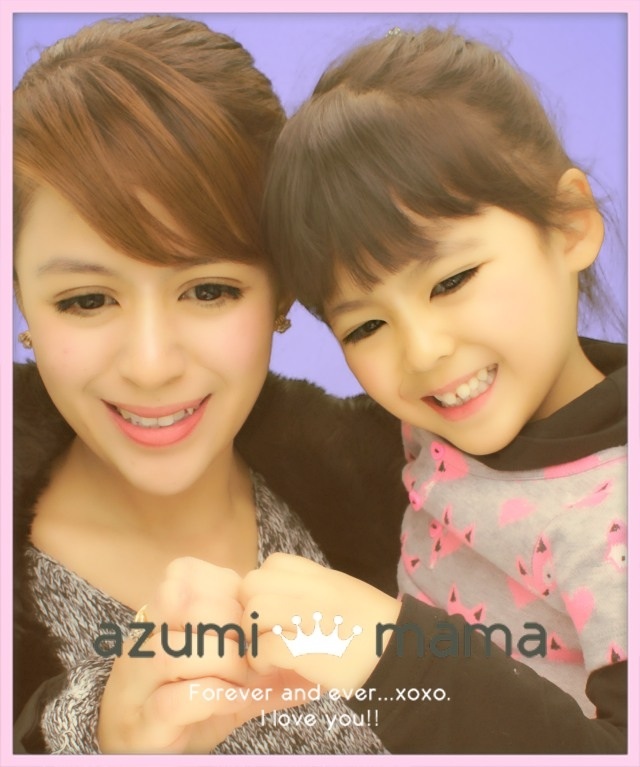 you did a great job bamz in raising your lil anzu. aww gees!how nostalgic!ganyan talaga ang custom dito sa Japan noh?palaging may oiwai lalo na sa mga milestones ng anak--ganyan din ako dati,also praying na sana every year din akong buntis para palaging may oiwai pero ngayon di bale ng walang oiwai basta't mabuntis lang lol!